My series on calculator/technology use will continue during the year. Meanwhile, I am starting today a short series about the Mathematical Practices for AP Calculus or MPACs as they are called. 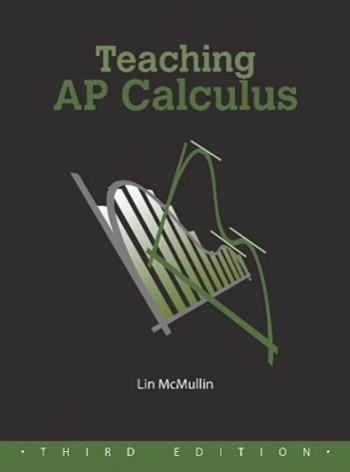 Earlier this year I did some work verifying the alignment of several textbooks to the Essential Knowledge (EK), Learning Objectives (LO), and MPACs of the new Course and Exam Description for AP Calculus. The publishers provided a reference (page or exercise number) for each LO and EK in their books and a separate reference for each MPAC. The books I looked at all hit the LOs and EKs pretty well at over 95%. But the MPACs, not so much. The MPACs are intended to get students thinking and working like mathematicians. The more I look at them, the more I think they can do that. Each MPAC starts with the statement “Students should ….” It’s easy for authors to do a good job explaining the calculus in the LOs and EKs; that’s what authors do. The writers do what’s listed in the MPACs because they are good mathematical practices and the authors are good mathematicians, but the authors do not often point out what they are doing in this regard. The MPACs are for students to do. Textbooks need to provide opportunities for students to do the them. This pretty much has to be in the exercises. Some of the exercises provide the opportunity to do some of the things listed in the MPACs, but this is often more accidental than intended. Little or no opportunity is intentionally provided to learn and practice the MPACs. It is up to the teachers to provide these opportunities. While they are called Mathematical Practices for AP Calculus, in fact they really apply to all of mathematics. The calculus examples in the MPACs may easily be changed to apply to mathematics teaching and learning earlier in the curriculum. Properly applied they should have an impact on the entire curriculum. If the goal is to help students learn to think and work like mathematicians, then starting in AP Calculus is way too late. I will use this and the next few post to discuss the MPACs in detail and provide some suggestions as to where and how teachers can help their students to think and work like mathematicians. f. produce examples and counterexamples to clarify understanding of definitions, to investigate whether converses of theorems are true or false, or to test conjectures. 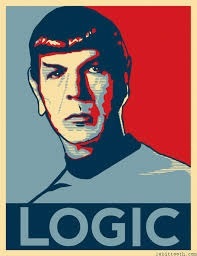 While the word logic does not appear here, these six items (with the possible exception of e) are the tools of logic and the basis of mathematical reasoning. The word prove has appeared very rarely on the AP Calculus exams, students have been asked to justify their answers, apply a definition or theorem to a particular function, and show that they know what ideas can be used in a situation and show that they can use them. Conjecturing, producing examples and counterexamples are the basis of mathematical reasoning. Some suggestions about how and where can you make sure students work with these ideas in your classes. These items reflect the structure of mathematics. None of the points are specific to the calculus; they can and should be used and developed in all the classes leading up to calculus. Definitions and theorems come into students’ mathematical education before first year algebra. The form and structure of axioms, definitions, and theorems, in addition to their meaning, should be made clear to students. So this is something that should start long before calculus and be included every year. One way you can help students learn how the items in MPAC 1 work is to use True or False (TF) questions; better yet are Always, Sometimes or Never (ASN) questions. These are similar to TF questions except that the students have a middle choice. These questions are an excellent place to hone ones’ skills using the fine points of theorems and definitions. With either TF or ASN questions students should not just answer with a word, but rather be required to explain how they know their answer is correct. They can do this by citing some theorem or definition, or producing an example or counterexample. Students can also be asked to discuss, defend, and compare and contrast their answers with other students. When AP exam questions are written the writers reference them to the LOs, EKs and MPACs. The released 2016 Practice Exam that is in the new format contains very detailed solutions for both the multiple-choice and free-response questions that include these references. About 1/3 of the multiple-choice and all six free-response questions on both AB and BC exam reference MPAC 1.